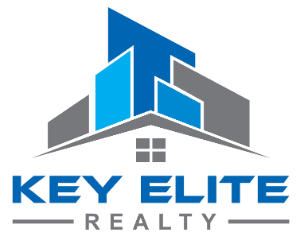 28351 Gamble, Chesterfield Twp, MI.| MLS# 31364912 | Key Elite Realty | Macomb County Real Estate | Oakland County Real Estate | Call us at 586-286-1028 | Homes for Sale, Agents, Homes for sale in Macomb County. Sharp, Very Clean & Updated 4 Bedroom, 2.5 Bath Colonial on an Oversized, Nicely Groomed & Landscaped Lot. Complete New Kitchen with Stainless Steel Appliance. New Windows & Bathrooms. New Living Room , Dining Room , Hallway and Stair way Carpeting. New How Water Tank. New Front Entry and Storm Doors. Nice Master Suite with Jetted Corner Tub & Stand Up Shower. Double French Doors to Formal Dining Room/Den/Library. First Floor Laundry; Washer & Dryer included. Beautiful Open Finished Basement with Storage. Home Warranty Included. Subdivision has Community Playground, Park Area, and Walking Trail Maintained by Association. Great Location. Close to I-94, Shopping, Schools, and Transportation.